Hit musical Six has announced that it will hold a Sing Along performance at the Arts Theatre on 6 June 2019. Fans of the Six fabulous Queens of Six rejoice! Producers would love you to be Queen for a night at the show’s first Sing Along show at the Arts Theatre on 6 June 2019. Six has built up a large and enthusiastic fanbase who have followed it from the Edinburgh Fringe to its permanent West End home at the Arts Theatre. And for many, the temptation to join in with the show’s catchy hits like Catherine of Aragon’s NO WAY, Anna of Cleves’ GET DOWN, and the anthems EX-WIVES and SIX can be almost unbearable. Now, for one night only, audience members will be able to sing their favourite songs along with the cast, and without fear of upsetting the theatre noise police. The Six Studio Cast Album has been played over 6 million times, gets 60,000 streams a day and was Winner of Best UK Cast Recording in The Curtain Up Show Album of The Year Awards 2018. 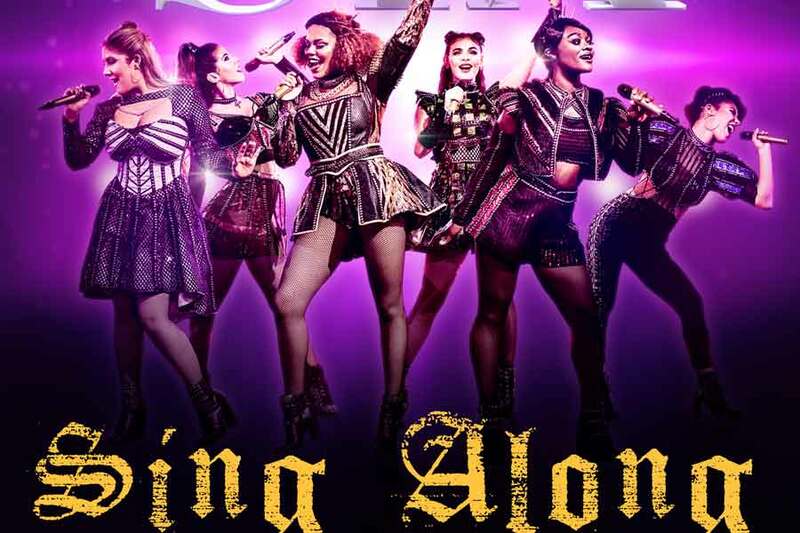 The audience at 8.30pm on June 6 might also like to come dressed as their favourite Tudor-pop star from the show, or just dress to impress and one audience member will be crowned ‘Queen for the Night’ and receive a unique Singalong Six poster signed by the cast from that night’s show.